The new digital single from Norwegian multi-instrumentalist / singer-songwriter Silje Nes, 'Branches', was released a few weeks ago, and to celebrate she launched a remix competition. As promised, the top five entrants now feature on an exclusive, free-to-download digital EP - which you can get HERE! This includes the "5 Leaves Mix" from Bell Horses' own Christian Hawkins (aka Sybarite). "I am so happy for all the submissions that's come in for the branches remix competition," Silje comments, "and really enjoyed listening to all the different tracks that people have come up with. What I didn't enjoy so much was picking only five from the bunch - but here's my choice of five remixes that struck me, in different ways. Thank you everybody..."
Remixes have been commissioned of two This Loves Last Time songs from Bell Horses and the results are now ready to share with fans. Northsea, the alias of Stefano Guzzetti, has contributed a beat-friendly reinterpretation of album-opener Still Life while Inch-Time (aka Stefan Panczak) has delivered a dreamscaped version of Small Hours. You can download and enjoy these remixes free of charge as a gift from Bell Horses HERE for a limited time. The original versions of these songs can be heard on the This Loves Last Time album, available on CD, MP3 and FLAC right HERE. In addition to the above remix goodness, the man behind Bell Horses and Sybarite, Christian Hawkins, has put together the first in a series of regular mix compilations. The first, the Autumn Mix, features an hour of tunes assembled by Hawkins, including music from CFCF, Seefeel, Mount Kimbie and Brian Eno among many others. You can stream or download the entire mix HERE. Hawkins has, under the the Sybarite moniker, launched the official BandCamp page for all things Sybarite related. Already the new site features some must-hear samplings, including Sybarite remixes of songs by Inch-Time, The Antlers (as previously mentioned on this site) and Fat Cat recording artist Silje Nes. Keep an eye on the site for more advanced peeks into the world of Sybarite. We hope you enjoy it all and, as always, thank you for your interest and support! It's much appreciated! Listen to the new Sybarite (aka Xian Hawkins) remix of Atrophy by The Antlers. It's available as a free download for a limited time by following THIS LINK. Enjoy! Click HERE for a new interview with Xian by Kristi Kates at the Groupee site. 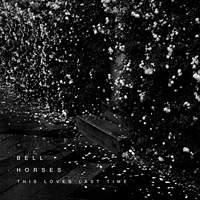 Bell Horses is a merger between Xian Hawkins (who also records as Sybarite, has made contributions to the 4AD, Ghostly International, and Temporary Residence label, and has founded his very own TrySquare label) and Jenny Owen Youngs (singer and songwriter who has released several albums on the Nettwerk label). Together, they have gone beyond what each individual has done and created in the past and conjured up a haunting atmosphere of peculiarly lush and elegant pop that builds strings and electronics in a web of layers that will entangle your senses with intrigue. With their debut album This Loves Last Time (TrySquare), their 21st Century pop not only became a highlight for 2009, it also pushed the boundaries without forcefully doing so. For Hawkins and Young, it’s an accomplishment that will drive them forward as musicians. Hawkins talks about what went into the making of the album and what it means to him as a musician, as well as what is up his sleeve for 2010. Paste Magazine is one of the few quality music magazines still available on newsstands and have decided to get to know Bell Horses a little better in their "Getting To Know" feature today. Kind thanks to Paste and Emily Riemer. A new interview with Xian Hawkins is up at online culture site Verbicide. Read it HERE. You can buy it HERE: $5.99 MP3 / 6.99 FLAC w. Bonus Track / $9.99 incl. shipping CD US and Canada / $12 CD ROTW. Or if you prefer more conventional outlets it's also available at iTunes, Amie Street & Other Music. Plus now available at InSound (buy the CD with 10% off online coupon code: bellhorses10). Also available from Cargo Records in the UK (release date is Nov. 23rd) & ToneVendor & n5Mailorder getting it into shops in the US. We are pleased to announce the release of our debut record today! 'This Loves Last Time' is now available in physical format. CD is a glossy digipak featuring some beautiful design work & photos from artist Noele Lusano. Price is only $9.99 US & Canada ( $12 ROTW) all shipping included. Visit our STORE page where you can preview & buy the record. Thanks for your support! Lots of reviews to be found on the PRESS page! RCRD LBL is a network of online record labels and blogs serving up fresh new music downloads and exclusive content whose curators have seen fit to offer up 'Still Life' (the first song off of our new record) available now as a free download. Get it HERE. The folks at One Track Mind have reviewed This Loves Last Time's closing song Dust Of Us. Read the review and download the full song HERE. 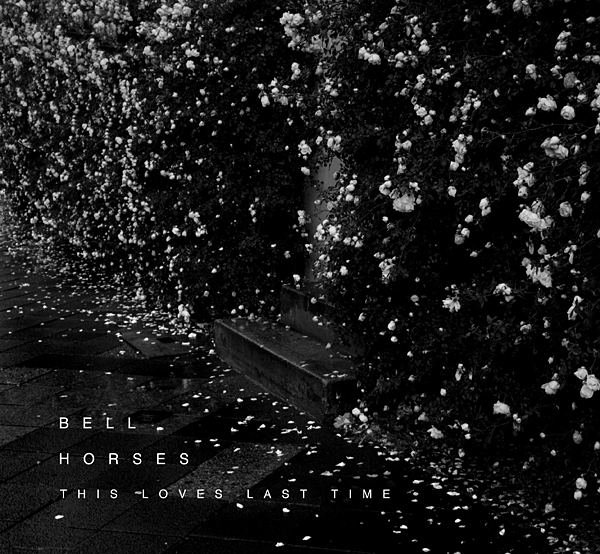 NPR's All Songs Considered has included Bell Horses as part of their September 14th podcast. Welcome - this site will be updated regularly with news, reviews and related bits of interest about Bell Horses. Our debut record, This Loves Last Time, is set to be released on October 13th via our own label, Trysquare. You can pre-order a copy of the CD now at our Store and it will ship on or before the street date - $10 US & Canada / $12 ROTW - prices include shipping. As well, we are offering (*available now*) a high quality FLAC download of the album which includes an extra track not found on the CD for only $6.99. A high quality MP3 version is also available. We're still in the process of getting proper distribution for the record. For now it will be available here and at fine retailers like Insound, Other Music, Amie Street and iTunes (to name a few) and we hope to be working with Cargo in the UK to get the record into shops across Europe. Also, we're actively looking for people to make videos from the songs so if that's something you'd be interested in please get in touch. In the months to come we'll be offering up some remixes as well so check back for updates.